Our Ten O’Clock plant has started blooming. The ruffled rose-like flower is variegated in colour and beautiful. 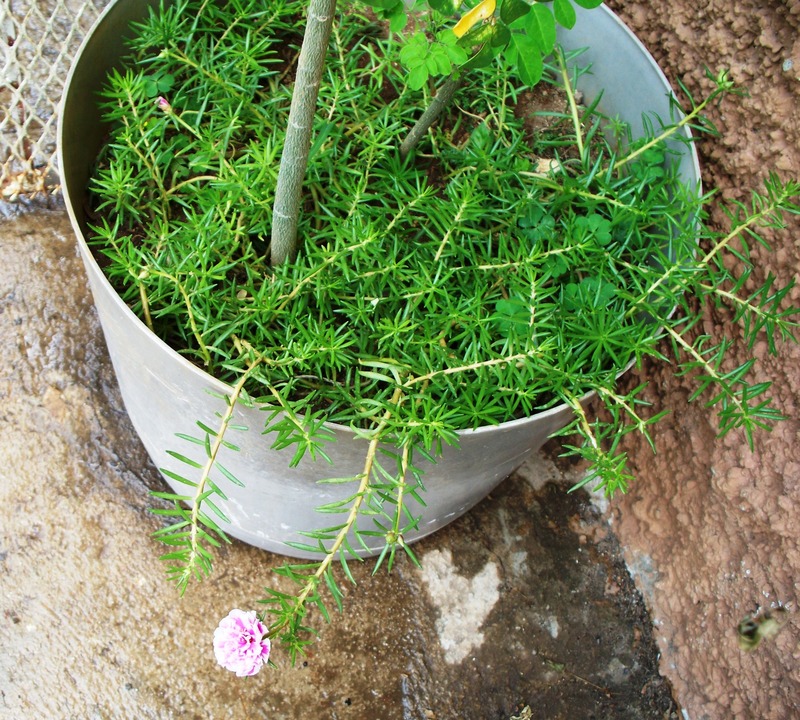 The Ten O’Clock Plant (Portulaca grandiflora), which is also called “Moss-rose”, received its name since it is usually in full bloom at 10 o’clock in the morning. There are several varieties of Ten O’Clock plants producing colourful flowers that open only during bright sunlight, and close at night and on cloudy/rainy days. Ten O’Clocks are hardy plants, easy to grow and drought-tolerant. They require full sunlight to flower as well as regular watering. Ten O’Clock plants will grow in pots, hanging baskets, rock gardens and along walkways. Ten O’Clock plants are edible and can be either cooked like spinach or used raw in salads. They are rich in Vitamins A, B1 and C. Read more about this plant @ Floridata website.